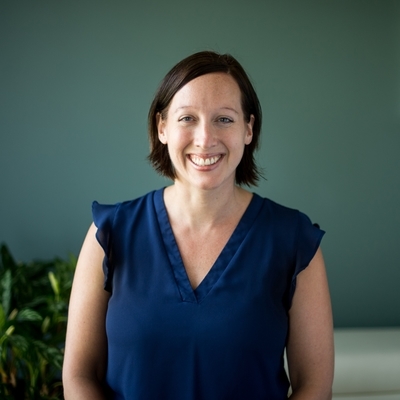 Rebecca Winn is a Project Manager who works with Customers and Independent Contractors to facilitate and support the success of learning engagements. Rebecca understands the importance of your learning engagement and believes that its success depends on positive communication to develop a deep understanding of the problem and the intended solution, and to proactively identify and overcome obstacles. Rebecca has eight years of project management experience along with extensive experience in both L&D and the healthcare industry. Rebecca earned her B.A. in Clinical Psychology from Argosy University Chicago and holds a Master of Arts degree in Organizational Psychology from Argosy University. I babysat from a young age but my first “real” job was as a Sales Associate at Fashion Bug when I was 16. My parents both have a very strong work ethic and they taught by example the importance of hard work, integrity, and earning your own way; now, thoughts of my children, their future, and the example that I want to set for them motivate me to work hard! “Mrs. Incredible”-esque stretchy arms and maybe an invisibility cloak! My favorite thing about my career is the opportunity to constantly learn new things and engage with different people. I like the challenge of needing to stretch beyond my comfort zone at times, developing creative solutions, and feeling like what I do brings value to others. My children! Additionally, my Master’s degree; I am the first person in my family to obtain a graduate degree and I am very proud of that accomplishment and thankful for the opportunity I had to pursue a higher education.